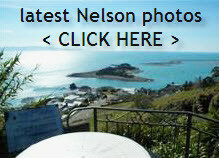 Worlds Biggest “FOR SALE” sign, in Nelson? Feeling assured the instigator wanted to appear “higher up”, thought I better go ahead and do the double check, Google Earth, but the only photo there……. ….other than the normal aerial perspective above…. If its not sold soon. then perhaps it may show up in the next Google Earth update? UPDATE 6:33pm – just spoke to the owner on the phone, definitely very interested in a sale….if you’re interested give me, David Leggott that is, a call/txt/email. This entry was posted in Buyers, General, Humour, Nelson, New Zealand, Sellers, The Market and tagged Buyers, buying, market, Nelson, NZ, Sellers, selling, Technology on September 26, 2013 by David Leggott.